Here is information from Hot Toys's Facebook page. 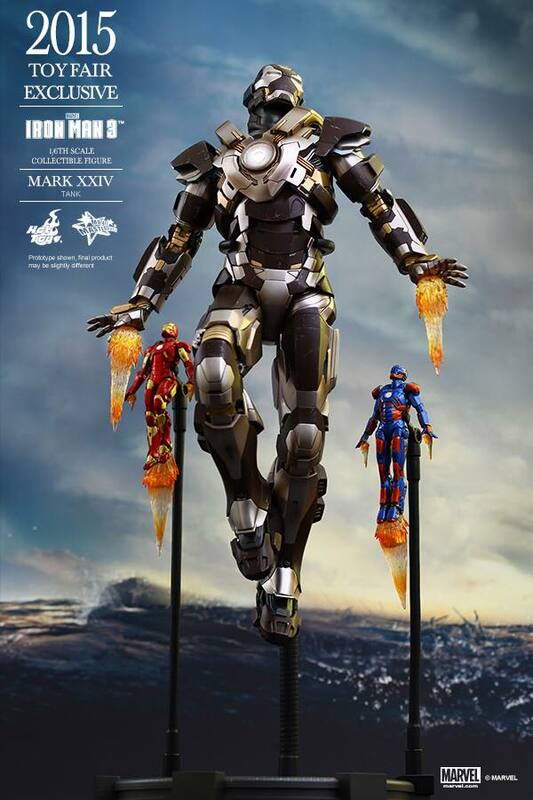 "Many Hot Toys fans have already been anticipating the unveil of the 2015 Toy Fair Exclusive items, and today we are excited to officially reveal the first exclusive item for you all! 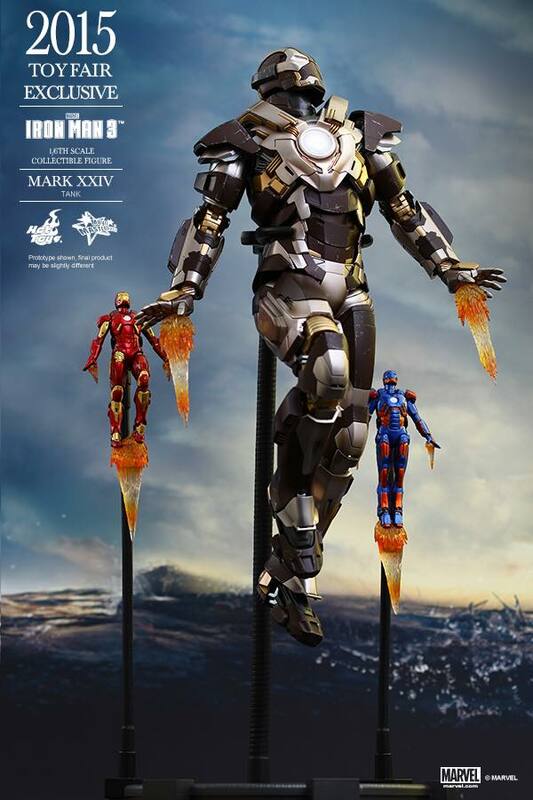 The 2015 Toy Fair Exclusive Iron Man 3: 1/6th scale Mark XXIV (Tank) Collectible Figure will make its first appearance in the “Avengers 200% Exhibition” in Japan! Fans in Japan will even have the chance to purchase this new collectible figure during the event! Fans in other countries, please stay tuned for more details soon." I know that making 40 different armor designs must have been a task but I'm a little disappointed to learn that a lot of them are just pallette-swaps. Hot Toys have exploited this licence like no other. They rinsed the Nolan Batman dry and now it release after crappy release of different colourways of the same MKs. What a joke( meanwhile decent licenses like Robocop are marginalised becuase their asian market are iron man crazy. Obviously money talks and they're a business but Hot Toys have gone very soft. Release an updated set of Marines ffs! Matrix figures or the ghostbusters. F**k this ironman bollox!